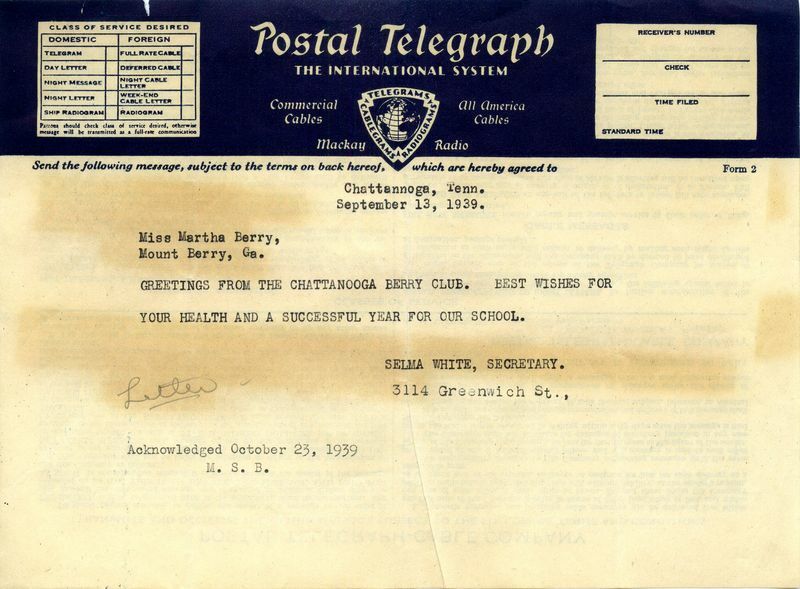 Selma White, “Telegram to Miss Martha Berry from the Chattanooga Berry Club Selma White Secretary.” Martha Berry Digital Archive. Eds. 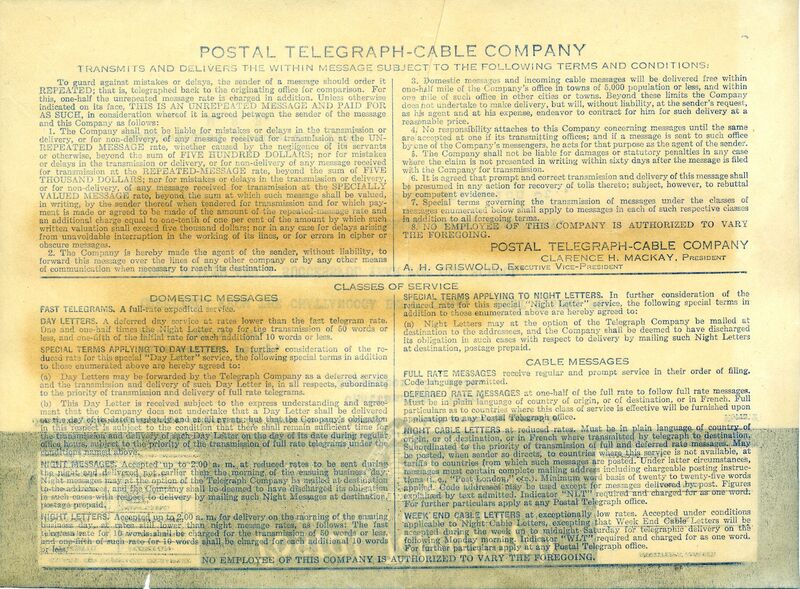 Schlitz, Stephanie A., Alan Henderson, Jessica Hornbuckle, et al. Mount Berry: Berry College, 2016. accessed April 18, 2019, https://mbda.berry.edu/items/show/14092.